Update (5/9/2018): Scream Factory has announced the special features and specs for this release, which streets two weeks later than previously announced. Night of the Lepus will feature a 1080p transfer in the film's original aspect ratio of 1.85:1 with the film's soundtrack in DTS-HD MA. Night of the Lepus will street on June 19th but you can get it two weeks early by ordering the blu-ray from the Shout! Factory store. 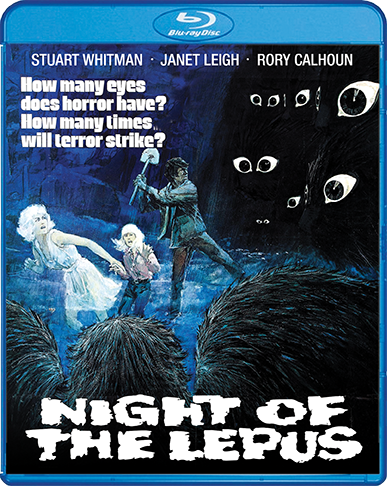 Scream Factory has announced that they will be bringing the cult classic, and one of our favorite films, Night of the Lepus, to blu-ray on June 5th. No special features have been announced, but we will keep everyone updated.